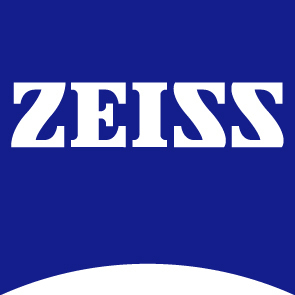 Sony Corporation is a leading manufacturer of audio, video, imaging, game, communications, key device and information technology products for the consumer and professional markets. With its music, pictures, interactive entertainment and online businesses, Sony is uniquely positioned to be the leading electronics and entertainment company in the world. Sony recorded consolidated annual sales of approximately $76 billion for the fiscal year ended March 31, 2017. Launched in 2007, theprintspace is the UK’s leading Fine Art and Photographic printing service, offering online Giclee and C-type printing, archival dry mounting and bespoke conservation framing. Their web application, creativehub, can also be used to sell art via Shopify stores, enter competitions, and to swap prints with other users. Eurostar is the ideal way to travel to London from mainland Europe, offering a seamless city-centre to city-centre journey, quick and convenient check-in and a generous baggage allowance. Travellers can sit back and unwind in comfortable and spacious surroundings with free wi-fi and over 300 hours of on board entertainment, all streamed straight to a phone, tablet or laptop. Culture Trip is a startup that inspires people to explore the world’s culture and creativity through innovative technology and our global network of local content creators. Our vision – to bring the world to everyone and in doing so bring us all closer together – drives everything we do. 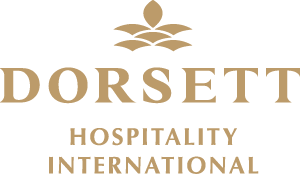 Dorsett Hospitality International (DHI) is one of Asia’s fastest-growing hospitality brands. As a Hong Kong-grown hospitality brand, we are proud to have an international footprint in 29 major cities in the world with a total of 57 properties, including DHI’s three core brands: Dorsett Hotels & Resorts, Silka and d.Collection. DHI is also the sister company to Trans World Hotels and an affiliate partner of Agora Hospitalities. London Photographic is a team of innovative & experienced professional and semi-professional photographers and educators who have been running highly successful workshops, seminars and photo walks for over 12 years. They love travel and adventures and run amazing events across Europe, Central America and Asia providing expert photography tuition across all genres of photography using their highly capable and flexible team. Whether you are just starting out, looking to learn something new or are an experienced pro, London Photographic is always happy to share their knowledge and experience. Presented by Saatchi Art, The Other Art Fair is the UK's leading artist fair to discover and buy art directly from the very best emerging artistic talent. With bi-annual and annual fairs The Other Art Fair has grown both in the UK and abroad with editions now strongly established in Bristol, London, Sydney, Melbourne, Brooklyn and LA - with plenty more to come! The Photography Show Full to the brim with everything a passionate photography enthusiast or a well-seasoned professional photographer could possibly dream of; including the latest technology from all the leading brands, demos of the latest kit, conference sessions and a complete range of talks and seminars guaranteed to meet your needs, whatever your level. 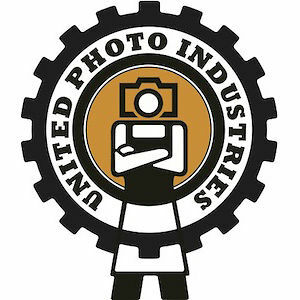 Join like-minded photographers at the must-attend event in the image making community’s calendar. PHOTOFAIRS presents selected brands and corporates with an unrivalled opportunity to connect with the world’s most innovative photography-focused art fairs. With destinations in the heart of Asia and on the West coast of the United States, PHOTOFAIRS offers brands an unparalleled and unique opportunity to reach a discerning audience. Benefits include brand associations and amplification, privileged access to the show and the potential for dedicated space within the fair environment. PHOTOFAIRS focuses on long-term creative partnerships. The World Photography Organisation collaborates with partners to create visual and vibrant programmes that actively engage with and inspire hundreds of thousands of consumers across the world. In addition to bespoke programmes, the World Photography Organisation offers partners the opportunity to link with their events around the world.